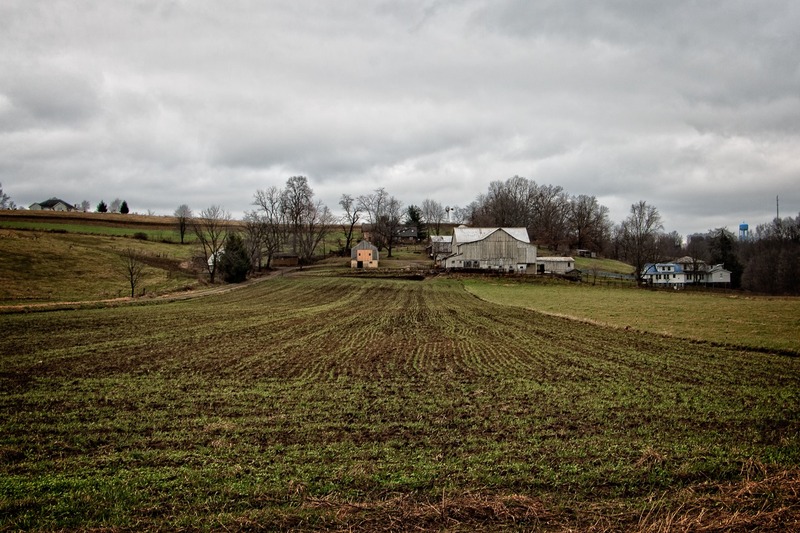 Here are a handful of photographs from an abortive trip I took into eastern Ohio on Christmas Eve in 2014. I am afraid I do not remember what caused me to have to cut this trip short, so I don’t have much of a story to accompany these photographs. If I am not otherwise engaged, I like going on photography trips on Christmas Eve or Christmas Day, because everything is usually so quiet and deserted. I—and I think perhaps Tsuki, but I can’t completely remember—headed north on I-71 out of Columbus, then got off the freeway before it reached Mansfield. That took me into the village of Bellville, Ohio (population 1,918, salute! ), founded in the early 1800s by a man named—wait for it—Bell. 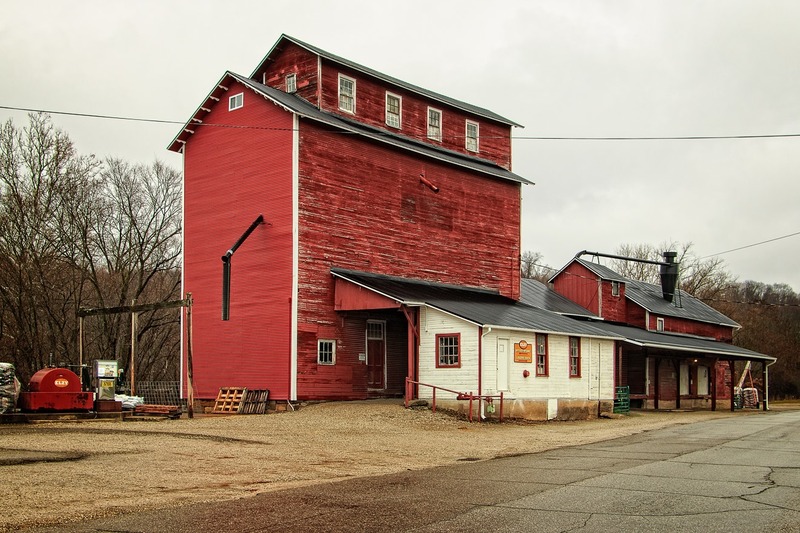 Unlike many Ohio villages, Bellville has actually grown in the past couple of decades. It has no claim to fame. However, it does have this rather interesting establishment, which is Elzy Milling & Trade, Ltd. Elzy sells a variety of goods for farms, gardens, pets and livestock—“from Seeds to Feeds, we cover all your needs.” The business is located in an old feed mill that dates back to the 1840s and, bless their hearts, Elzy has been restoring the building instead of letting it go to ruin. Amazingly, it is still a mill and has been in operation around 175 years or so. Way to go, Elzy! 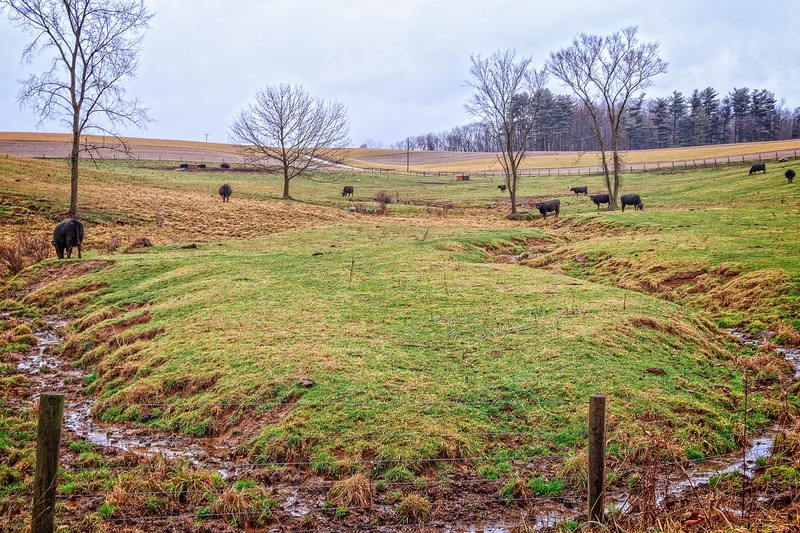 I took this shot of a little streamlet winding its way through a pasture outside of Bellville. Something about this shot kept ringing in my ears but it was nearly a year before I finally figured it out. I kept thinking “cows of Bellville” or “calves of Bellville.” I knew that was a thing. But what was it? An opera? A book? A reference from a story? Finally, it dawned on me. The NPR show Car Talk used to sign off with an audio list of credits, in which Tom and Ray would often insert humorous nicknames for the various people they named. One person they listed in every episode was associate producer David “Calves of Belleville” Greene. What that nickname referred to, I have no idea, but somehow I found it in the real world. 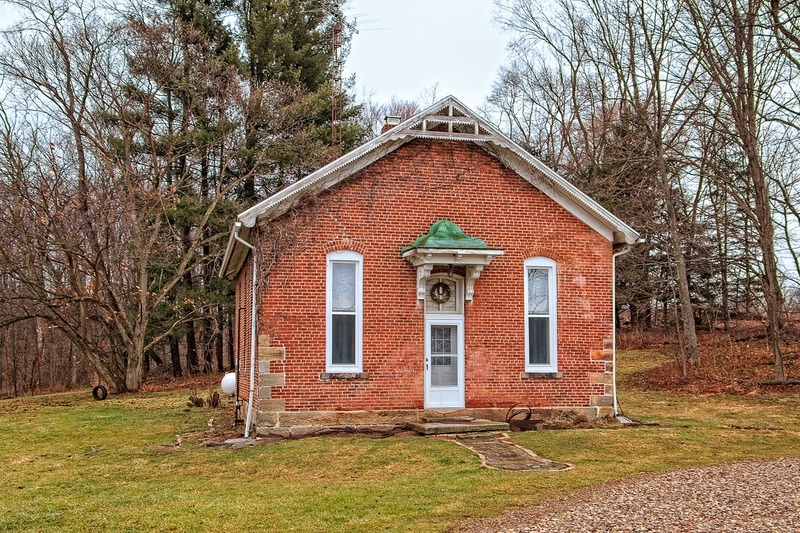 Driving down the wonderfully named Pleasant Valley Road, I came across this small building, which I believe used to be a one-room schoolhouse—it has most of the typical features of one. However, it has been kept in far better shape than most such schoolhouses, which have typically been left to ruin, or repurposed as sheds, etc. But this one even has curtains and a wreath. It also seems to have gas heat and an old television aerial. A few old schoolhouses have actually been repurposed as residences and it is possible that this is one of them. Satellite imagery of the area doesn’t necessarily lend weight to this theory, but it could also possibly be used as a guest cottage or the like by an actual residence across the street. Also in Amish country is the village of Sugarcreek (population 2,220, salute! ), which calls itself “The Little Switzerland of Ohio.” It is a reasonably prosperous village and has had population growth since the 1940s (though at a decreasing rate recently). Like a lot of towns in the area, it somewhat depends on Amish-related tourism. It claims to have the world’s largest cuckoo clock. So there you go. 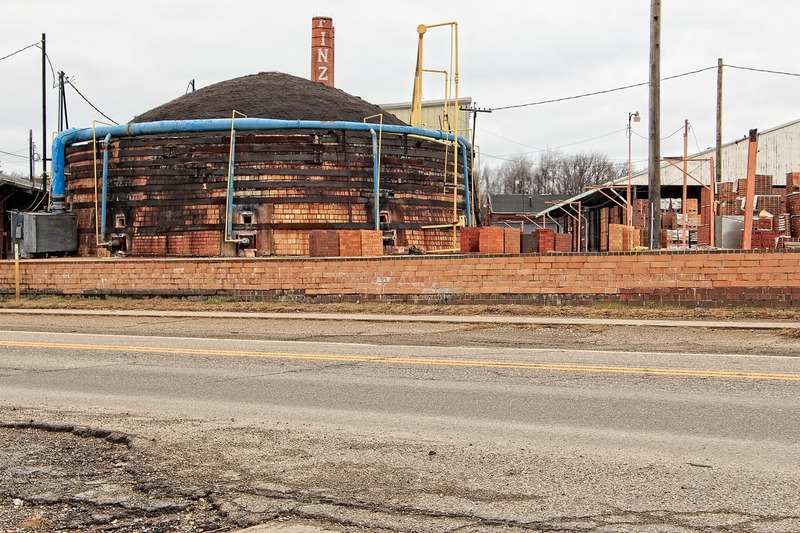 What I thought was interesting about Sugarcreek, though, was the brickworks, owned by Belden Brick out of Canton, Ohio. This is one of a half-dozen brick plants in Tuscarawas County owned by Belden. That’s a lot of bricks. 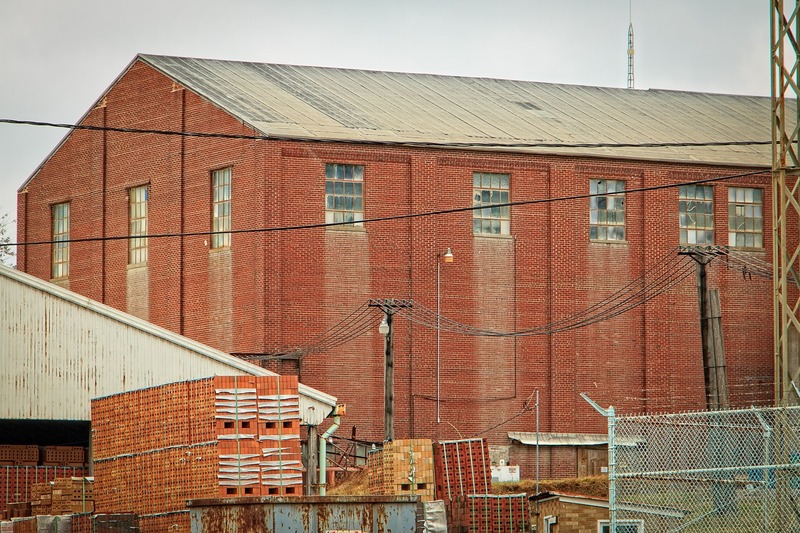 When you have a brick factory, you can pretty much make anything you want out of bricks, which is why this large building at the plant is so, well, bricky. Belden Brick was not always master of this domain. One of the smokestacks still clearly bears the words “Finzer Bros.” That is because this particular establishment started out as the Finzer Brothers Clay Company. Five Finzers came together in 1909 to start the company. Pooling together the $10,000 required were Charles, Henry, Homer, William and Edward Finzer. There were two other Finzer brothers left over who apparently were not interested in bricks. 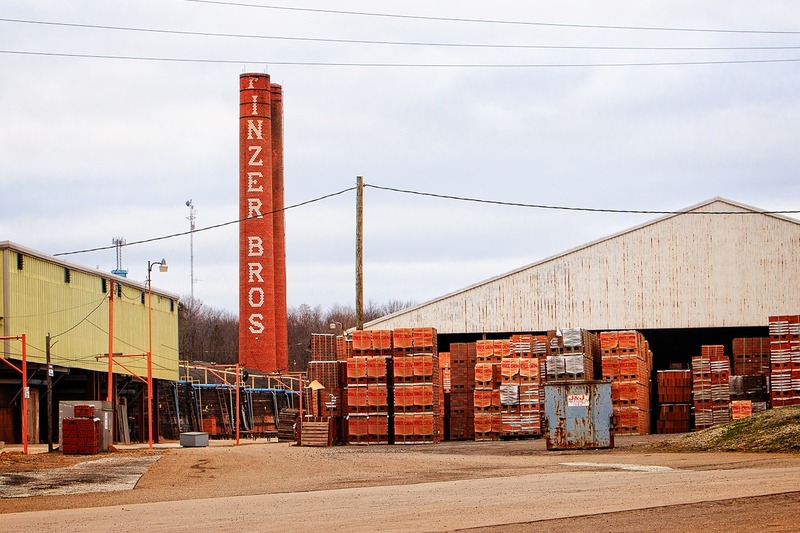 The 1930s and 1940s were not kind to a number of brick companies—business suffered during the Depression and most could not make war goods in the 1940s—and Finzer Bros. could not maintain steady operations. This resulted in the reportedly friendly acquisition of Finzer Bros. by Belden in 1946. Brick is just one type of construction material. 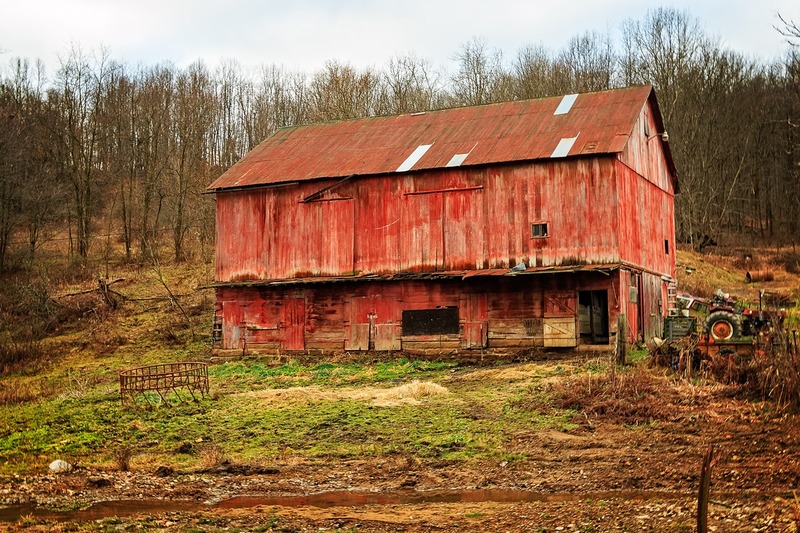 For barns, wood has long been the preferred material, though in recent years more barns have been made of steel. Bah. Wood ages much more interestingly than steel. 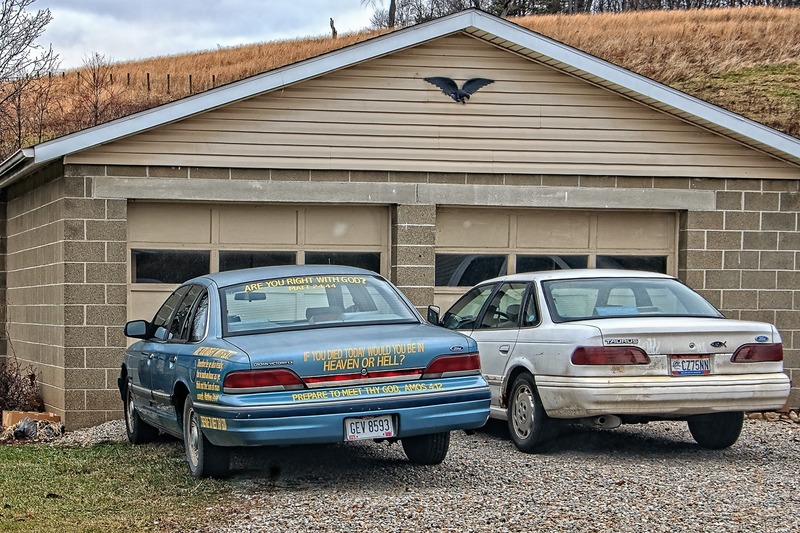 I thought I would end this little trip with a photo of an ideology-mobile, powered by sheer conviction. 18mpg city, 22mpg highway, 25mpg heaven.